Last time I checked about heart rate monitor, they required a chest strap to monitor ones heart rate, which I found cumbersome. 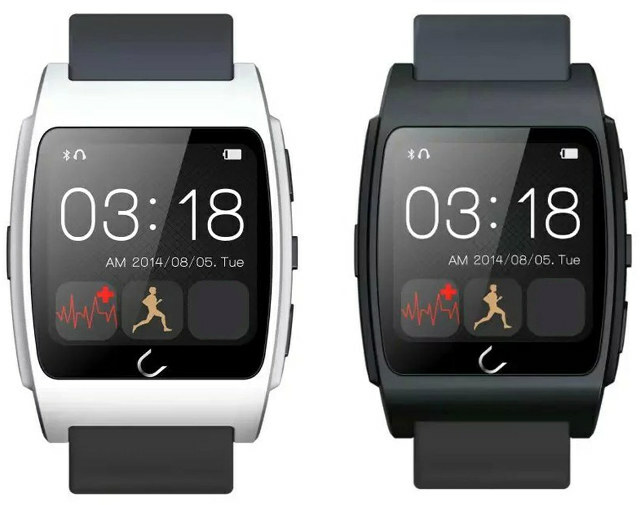 It’s been while though, and I’ve now been informed that a low cost Bluetooth strapless heart rate monitor watch was available for $59.99 on GeekBuying. This type of product should provide a much more accurate evaluation of your daily calories burn rate than typical fitness bands based on an accelerometer and gyro sensor, but I’m not quite sure how they compare to the old models with a chest strap. Battery – 260mAh Li-polymer battery; 180 hours in standby mode; 4 hours of talk time. 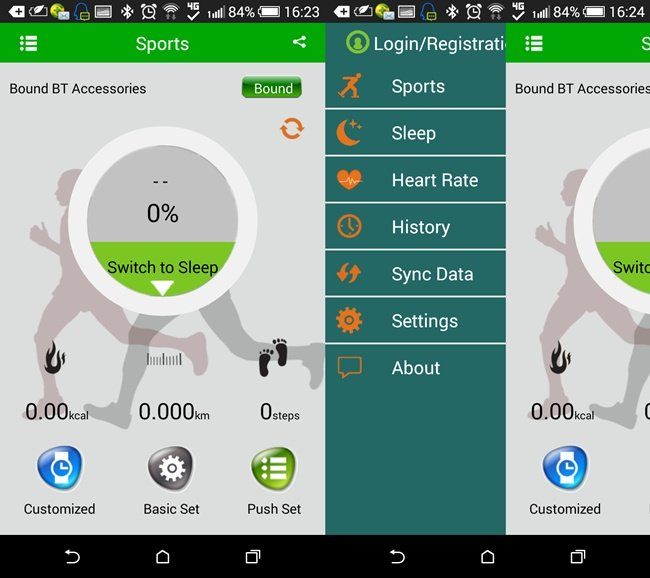 To synchronize with an Android phone, you can download Smart-Watch.apk or install SmartBlue from Google Play, while for iPhone or iPad you can install SmartBlue from the app store. 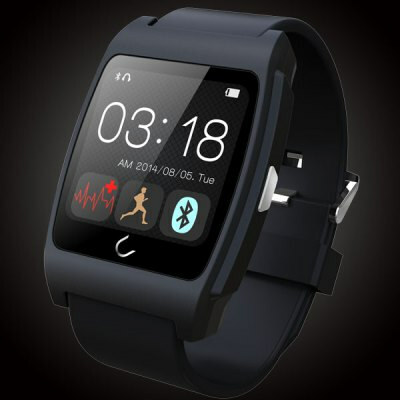 The watch ships with headphones, a USB charging cable, and a user’s manual. There’s a short demo video going through the user interface of the watch, but unfortunately they don’t really test the heart rate monitor function. Beside GeekBuying, Uwatch UX is also sold on GearBest for $54.99, Amazon US for $89.50, and PandaWill for $64.99.